You can earn 1199 yards with this purchase! 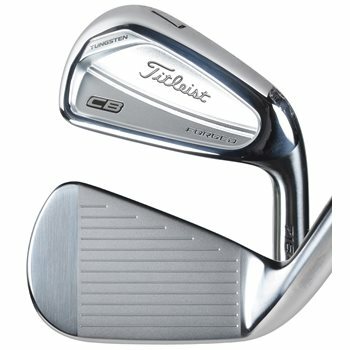 The Titleist CB 716 Forged irons were created to offer shot control and forgiveness in a modern cavity blade design. The co-forged high density tungsten weighting allows for a low CG that is perfectly aligned at impact for more speed with Tour proven trajectory and control. The CB 716 irons put the tungsten weighting low and on the perimeter for precise distance control and added forgiveness in a cavity blade profile. Is it possible to get a picture of these irons? Unfortunately, due to the size of our inventory and multiple shipping locations, we are unable to provide pictures of the actual clubs. What year are these Irons? These were released in 2016.